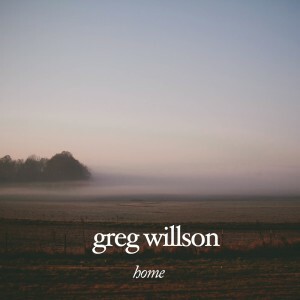 I released a new album today: Home. Excited about it. 10 songs around the idea of home. Any money that Home brings in goes to me leaving my own home, in search of a new one in England. A couple months ago I was able to speak to a group of church planters in South Carolina through the Carolina Greenhouse. It was an honor to talk to these leaders about discipleship in the arts. It’s fairly brief, and includes a section of the Q & A. You can listen to it below, and download it here. I also created a sample reading list, you can download that, too. Listen to the album in progress here. Read more on what this is about on this post. This is the first multi-tracked post for Audio Record, hope you enjoy! Introducing a new music idea: Audio Record. A record of what you might ask? A record of an idea, an emotion, or simply how we decide to pass through time. 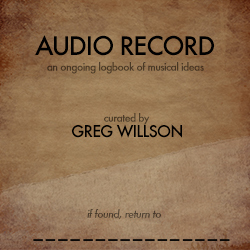 It’s the audio version of taking a field notebook into the wilderness and cataloging what you find interesting (hence the album art). They will mostly be improvised on the spot, mostly lo-fi using my iPhone, mostly one track and one take. I will be adding to this “album” weekly, so it’s ever-expanding. You can listen to them all here (only two right now) and it’s linked up in the music page. I will also post new findings individually as we go. Speaking of new findings, the newest one is below. Single take, single track, iPhone recording.